Ashland, OR. Stopped in this small town so the boys could nerd out at some local brewery. I spotted a small food stand with a sign that said “organic vegan soups”. 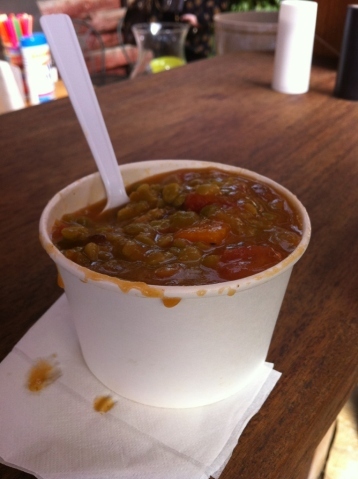 Soup of the day : split pea w/ kale and butternut squash. This was perfect and filling. Only 2.50! Gotta love Oregon and their No sales tax! 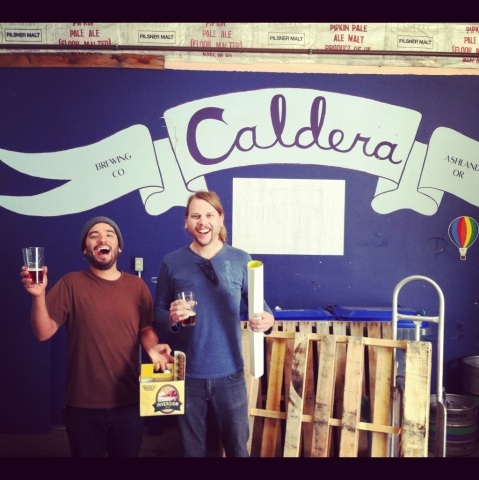 The dudes were super happy to check out the caldera brewery in ashland, OR. They got hooked up with some pints, cans and stickers/posters. I don’t drink but I enjoy seeing my friends this happy! Shasta lake city, CA. Just got to our buddy Adam’s house. 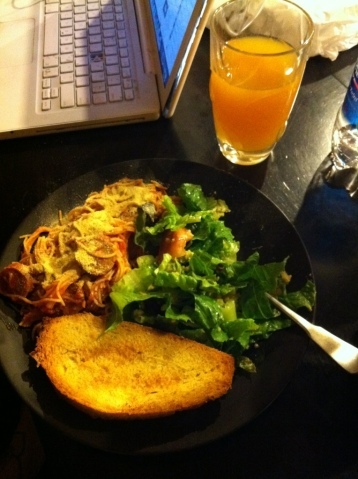 He made us a simple yet super awesome feast of spaghetti, a massive salad and garlic bread. Tons of tofurkey sausage in the pasta. We are all super full.. hopefully we make it through tonights set in Redding! i love these band posts! 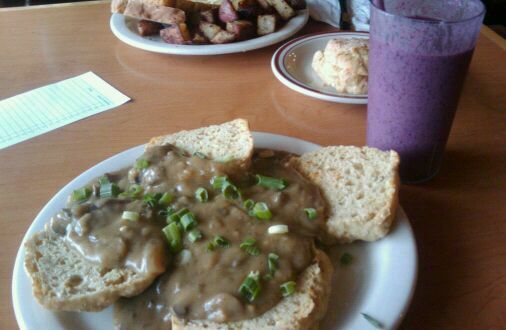 the food looks crazy good.